As New Hampshire residents, we may not think that flooding is a concern. Very few of us live on the coast, so the dramatic images of people of roof-tops after flooding from Hurricane Katrina or Harvey may seem a stretch for us. Though we will most likely never have such an extreme event occur, according to NH.gov, the most common natural hazard in New Hampshire is flood. Given that it is the most common natural hazard, you should be aware that your homeowners insurance does not cover flood! The number one reason you need flood insurance is that your NH homeowners policy does not cover flood at all. It is specifically excluded from the policy. Even though you may think you don't really need flood insurance, think again. Flood waters can rise quickly and nothing can stop it. According to the Federal Emergency and Management Agency (FEMA), between 20% and 25% of all flood insurance claims come from low-risk areas, so you don't need to live near a water source to be flooded. Floods are caused by storms, melting snow, hurricane, and water back-up due to overloaded or inadequate drainage. The damage from flood can be devastating. You could be dealing with toppled trees, rancid sewer water and enormous damage to your home and basement. Don't add to this stress by thinking about the thousands of dollars it will take to get you and your family's life back to normal. Given that much of New Hampshire is not in a high-risk flood zone, premiums are typically very low. According to FEMA, homeowners can insure buildings and contents for as little as $150 a year, while NH business owners can insurance building and contents for as little as $500 a year. How much would it cost to clean up after a flood? You can be sure it is more than $500. If you decide you want to buy flood insurance, there is typically a 30-day waiting period before the coverage can go into effect. You need to plan ahead so you are not caught without flood insurance when a flood threatens your home or business. If you thinking that you do not need to buy insurance because there will be federal disaster assistance available in case you need it, think again. Federal disaster assistance is only available if the President declares a disaster. Flood insurance can pay even if a disaster is not declared. HPM Insurance has convenient locations throughout New Hampshire including in Amherst Bedford, Bristol, Franconia and Laconia. Take the time to speak with a professional and learn how flood insurance works. We will review what it covers (appliances and items inside the home) and what it does not (decks and items outside the home). At HPM Insurance we have insured the residents and business of New Hampshire and beyond from unpredictable flooding since 1860. It is one of the specialties of our agency. We will make sure we share all of our knowledge with you. When you can minimize risk from flooding for such a small cost, you have to do it. You have to protect your family and your assets. Enter your zip code above for a free quote. 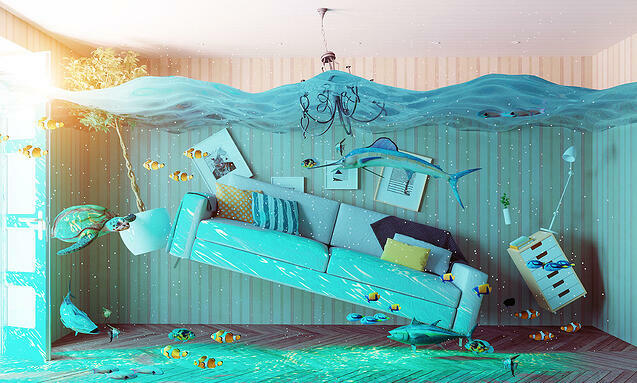 The flood insurance veterans at HPM Insurance will forever ease your fears of flooding.